Early in the morning of Thursday 9 July 2015 police hammered on the door of Wang Yu’s apartment in Beijing and took her away. Within days, hundreds of Chinese lawyers were called in for questioning by the police or the local lawyers’ association. While the majority of lawyers were released within hours, many were detained for days, months and, for some, now years. 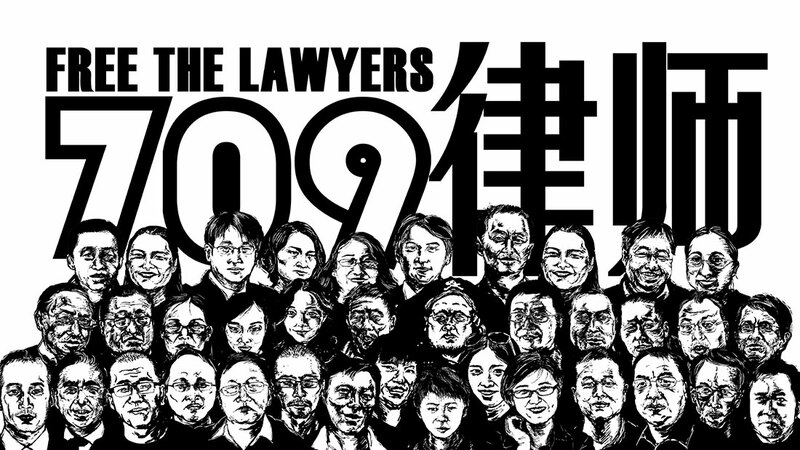 The ‘709’ incident, as it became known, is the most high profile systematic hounding and prosecution of Chinese human rights defenders in recent years. For over a decade, feminists, democracy activists, workers’ representatives, rights defence (weiquan) lawyers and NGO staff have endured the threat of crackdowns and imprisonment as a deterrent to their activism. The authorities also deploy less high-profile measures to intimidate, harass, and punish activists: parents are bullied, old boyfriends approached, children are prevented from attending school, landlords are pressured into rescinding rental contracts, and high profile activists are not allowed to travel overseas. The police periodically step up the pressure on human rights defenders with unscheduled visits to offices and homes, monitoring meetings, photographing visitors or installing surveillance cameras. Almost anyone working in the civil rights field has been invited by the police ‘to drink tea’ (he cha), a euphemism for an interview or a rebuke. More insidious is the unseen surveillance: the monitoring of social media and the hacking of email and private messaging. Disappearances and the fear they induce have long been a governance tool of the Chinese Communist Party. Yet, the current level of repression appears unprecedented. The authorities seem to hope that relentless pressure will deter activists while the new Overseas NGO Management Law cuts off the main source of funds to civil society. As domestic NGOs disband or are closed down, activism and the continued defence of human rights increasingly takes place on an individual or small scale. While this seems to offer some protection, working from home cuts off individuals from the conviviality and support of colleagues. Although social media partially offsets the physical isolation and need for social interaction, the constant stream of news detailing incidents and related calls for support can themselves be a source of stress. Human rights defenders share many of the same concerns as other over-burdened families in China: unsafe food and air pollution, school and job insecurity, and the costs of medical care. On top of this they must deal with shifting Party attitudes to their work. Considerable time and effort are dedicated to analysing the local and national situation to determine whether a particular case, report or activity will cross an invisible red line bringing a knock on the door late at night. For the human rights community, increased levels of repression pose three significant mental health challenges: managing day-to-day anxieties; anticipating and preparing for the possibility of detention; and responding to the use of torture and ill treatment. Individuals face varied levels of risk and will also react differently to the impact of pressure by the authorities. Human rights defenders can learn to improve their personal security and build their confidence in handling police harassment and abuses. Courage and preparation, however, will not be enough. To sustain the work of the human rights community, the mental health costs of activism should be understood and addressed. A number of NGO staff have turned to China’s growing ranks of psychological counsellors for help in addressing feelings of stress and anxiety. For some the experience has been unsatisfactory. In the words of one young woman, the counsellor was unable to understand her fear of the police. To the counsellor such a fear was not only outside her realm of experience, but seemed irrational. Some counsellors are unwilling to help human rights defenders, seemingly worried that ‘political sensitivity’ may be contagious. There is equally a lack of trust on the part of many human rights defenders towards mainstream psychologists. Moreover, as a service to the wealthier middle classes, counselling in China does not come cheap. On an NGO salary it would be difficult to afford regular sessions. In recent years small peer support groups have started to meet. These gatherings provide participants with a psychologically safe space to share and work through their feelings and experiences. Peer support groups are a cost-effective response to the need for counselling. They have the added benefit of building stronger relationships within the human rights community. Although peer support groups lack expertise, by bringing people together who have shared experiences, they provide an opportunity for participants to learn from each other. Several groups now integrate attention to mental wellbeing into their broader human rights work. Experience suggests that peer support groups are most effective when group facilitators have the chance to continue developing their own skills. These include not only logistical skills to arrange meetings in the current climate, but also how best to respond to the varied needs of the group and individual members. A simple, but very valuable, skill is helping participants learn relaxation techniques to help manage stress, including deep breathing and visualisation. Some activists need to learn to take time off and introduce small pleasures into their weekly routines. Many human rights defenders have tried to keep their activism separate from family life. They believe this will stop spouses or parents from worrying and protect their family from police pressure. Several years ago, the wife of a prominent imprisoned activist described a young woman she had met who had no knowledge of her husband’s activism. When he was detained she was completely unprepared. She knew none of his friends, had not met any weiquan lawyers and had no idea what to do. Peer support groups have encouraged human rights defenders to become more open with their families and seek their understanding, even if they cannot always enjoy their full support. The ‘709’ wives have shown immense courage demanding accountability from the authorities for the detention of their husbands. Together with the Feminist Five, these wives have challenged gender stereotypes among activists and opened up new opportunities for the participation of family members. Strong and open relationships among close friends and family are needed to sustain activism for the long haul. They are also important when the frustration experienced by frontline human rights defenders may be expressed in anger or violence in the home. Support group leaders also need to recognise when professional help is needed. Observation suggests that fostering active listening is one of the most important skills for facilitators. While activists routinely use social media to report threats, beatings or other abuses, there are few opportunities to talk about the experience and how they felt being treated in this way. The development of active listening skills has helped survivors of police brutality to be able to tell their stories in their own words and at their own pace. Reflecting on one such conversation, a lawyer shared the relief he felt describing in detail, for the first time, his experience of being detained and beaten by the police: ‘No one asked me before how I felt’. Active listening skills are not only important in peer support groups, but also among those lawyers whose clients have been tortured or subject to other forms of ill treatment. Working within the constraints of a brief meeting in the detention centre, lawyers are often quick to interrupt a conversation and offer their opinion. A former detained activist, while grateful for several visits from lawyers during his thirty-day detention, nevertheless complained that the lawyers never really listened to him. Improved communication skills among lawyers are essential where traumatised clients have difficulty recounting their experience in the logical manner that the law expects. As human rights lawyers have become targets of police abuse, forging increased mental health awareness is helpful on both a professional and personal level. Engaging with survivors of torture is a particular challenge for support groups. Many released prisoners and other human rights defenders have been subjected to torture, but there are no specialist rehabilitation services in China. Many survivors are also prevented, by public security, from travelling abroad to meet with psychologists based outside mainland China. Members of peer support groups can, therefore, be at the forefront in engaging with survivors. Sensitisation training on the impact of torture, the symptoms of post-traumatic stress disorder, and the risk of re-traumatisation is starting to help lawyers and other human rights defenders develop more psychologically aware communication skills. Survivors require sufficient time to heal and process their traumatic experience before they are encouraged to speak out. Human rights lawyers have helped to raise awareness of the use of torture. The apparent increase in the use of ‘clean’, particularly psychological, torture is a direct response to growing public disquiet at police violence. New legal measures, such as the exclusion of illegally obtained evidence, are of little use if procurators and judges ignore allegations that unbearable psychological pressure was applied to secure a confession. Increased understanding of the impact of torture will help challenge the impunity with which interrogators use violence and threats to secure the cooperation of detainees. Increased mental health awareness, and better skills to handle stress and fear, enhance the resilience of human rights communities to endure unprecedented repression. Recognising the toll on mental health experienced by many human rights defenders does not ‘pathologise’ dissent. Nor is fear of the police in China irrational. And greater psychological resilience to withstand repression does not normalise police brutality. On the contrary, it helps ensure that human rights defenders have the inner strength to continue challenging police abuse and illegality by the authorities. Many ordinary citizens in China display a divided self in which politically sensitive opinions are repressed to allow the individual to get on with their life. With their commitment to universal values, human rights defenders challenge this tension between the true self and a public persona that supports an increasingly repressive Party. Attention to mental wellbeing has encouraged greater emotional honesty among human rights defenders, and their friends and family. It is helping strengthen the human rights community through building stronger interpersonal networks. Talking about feelings helps human rights defenders articulate a language of optimism and human values in the face of a destructive repression. It is the belief in the rightness of their cause that helps sustain their work. Those of us outside China should ensure that they can continue to develop these essential skills and support each other at a difficult time. Artwork by Badiucao. This article was originally published in Made in China, issue 3, 2017. 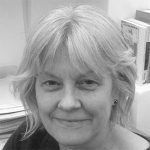 Nicola Macbean is the Executive Director of The Rights Practice, a UK-based NGO that supports those working for human rights. Nicola has worked closely with Chinese lawyers and other human rights defenders, and has implemented projects helping to combat the use of torture and the death penalty.